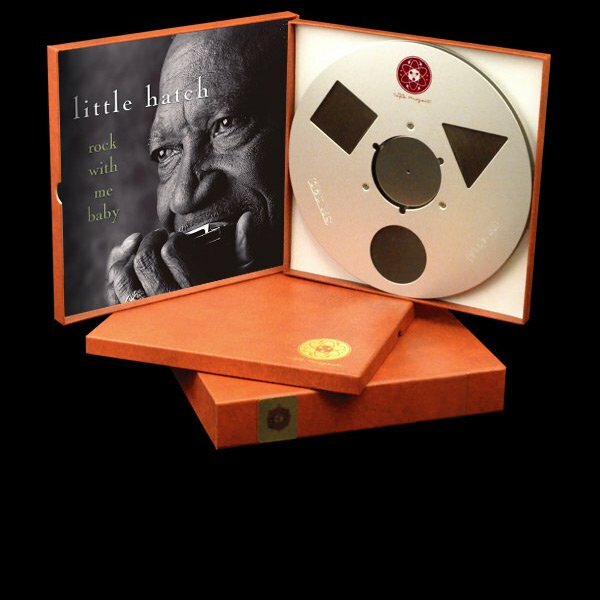 Little Hatch, born Provine Hatch, Jr. in 1922 in Sledge, Mississippi, began blowing the harp obsessively at 8 years old and came under the direct spell of Sonny Boy Williamson II and Howlin’ Wolf when his family moved to Helena, Arkansas in 1935. Sonny Boy became Hatch’s hero, and from there, another sure-fire bluesman was born. Rock With Me Baby oozes with blues purity and recalls the gritty roots of a time before blues needed polish to shine. If Hatch’s harp is technically imperfect, his soulful voice is unmatched. Fans of the real thing will drool, and rockers may at least understand blues heritage through this release. Recorded impeccably at Chad Kassem’s Blue Heaven Studio – converted from a 76 year old Gothic church.